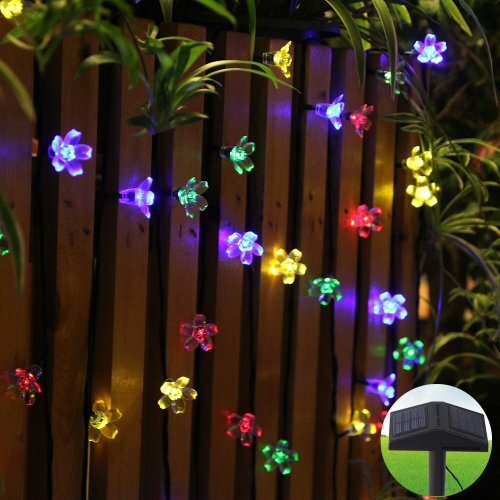 This solar string lights total 14 meters with 80 high brightness Blossom lamps. Powered by two tilted high performance solar panels. The light strip has 8 function modes: combination, in waves, sequential, slogs lo, chasing/flash, slow fade, twinkle/flash, and steady on. With memory function. You could choose the mode you prefer. And it will be kept under the same mode when you turn it on next time. A perfect decoration for Valentine's Day, Christmas, other holidays, parties, wedding, etc.